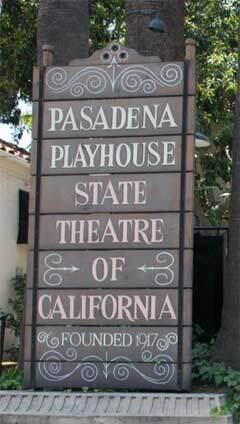 Pasadena Playhouse sign; photo by Krista Kennedy on Flickr (noncommercial use permitted with attribution / share alike). 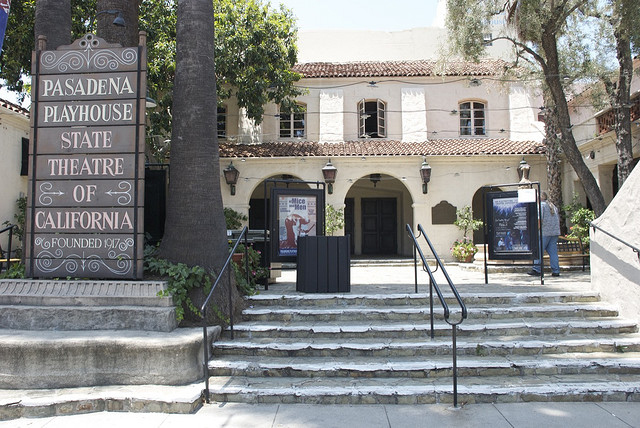 The historic, Spanish- style Pasadena Playhouse staged its first production in 1925. Many famous actors have appeared on the Pasadena Playhouse stage including Dustin Hoffman, Eve Arden, Gene Hackman, Raymond Burr, and Tyrone Power. Pasadena Playhouse; photo by Krista Kennedy on Flickr (noncommercial use permitted with attribution / share alike).